(Nanowerk News) OCSiAl, developer of the revolutionary material TUBALL, is now focused on creating a worldwide partnership network. Facing a growing worldwide demand for new materials and solutions on one side, and a great interest of industrial manufacturers in providing these solutions without major changes in their business models and production processes on the other, OCSiAl presented TUBALL as an answer to these demands six months ago and now launches a partnership program. TUBALL, first introduced in London this past spring, has gained attention of major brands in several industries since then. Not only due to its high “as produced” purity (75%+ of SWCNTs), but also because of its market price, which is 50 times lower than of other products with similar properties. That has been achieved by OCSiAl's technology, which allows cost-efficient SWCNT synthesis in sufficient volumes and doesn't require any further enrichment procedures. 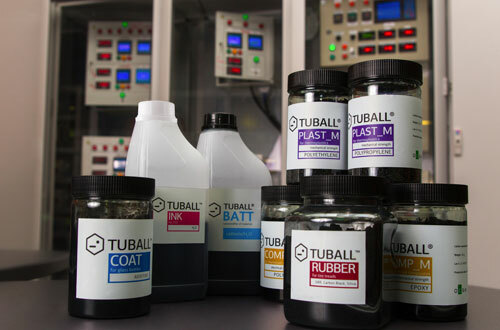 TUBALL's introduction to the nanomaterials market served as a pivot point for many industries, which previously experienced difficulties with the industrial usage of nanomodifiers, due to their high cost and absence of an efficient synthesis technology, and the lack of any alternative solutions. OCSiAl is an international technology company with operations worldwide. Named after the four major elements Oxygen (O), Carbon (C), Silicon, (Si), and Aluminum (Al), the OCSiAl offices are located in the US, Europe (UK, Luxembourg, Germany, Russia), and Asia (South Korea). OCSiAl’s team is 160 people of 22 talented scientists, 17 experienced managers and 122 devoted employees. In 2014 OCSiAl developed a breakthrough technology for the industrial production of single-walled carbon nanotubes (SWCNT) and entered the nanomaterials market with universal additive TUBALL. Company’s core product is TUBALL – a unique material that contains 75% and more of single wall carbon nanotubes (SWCNTs) and can be used as a universal additive for a wide range of materials and carriers. TUBALL delivers improvements in the properties of materials’ when added in quantities starting from as small as 0.001%-0.1% of weight.